The NASC Ultimate Coverage Plan mirrors your manufacturers plan. This is the most comprehensive coverage in the industry. 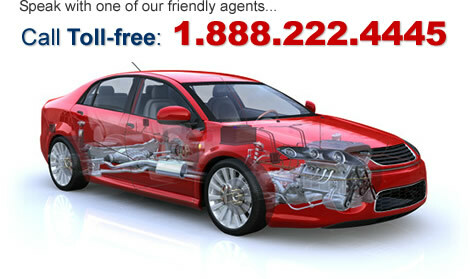 This plan was designed to extend your original manufacturer’s coverage that your vehicle came with. Carburetor; throttle body; battery; battery cables; shock absorbers; struts; manual transmission clutch friction, clutch disc and pressure plate; throw out bearing; pilot bearing; clutch master and slave cylinder; manual and hydraulic linkages; distributor cap and rotor; wires; safety restraint systems (including air bags); glass; lenses; headlamp and projection lamp assemblies; sealed beams; light bulbs; fuses; circuit breakers; telephones; television/vcr; electronic and satellite transmitting / receiving devices; brake rotors and drums; exhaust system; evaporative and exhaust emission systems; oxygen sensors; weather stripping; trim; moldings; bright metal; chrome; upholstery; carpet ; zippers; nuts, bolts, and fasteners; cup holders; dash pad and vents; seat frame; seat frame recliner mechanism; paint; outside ornamentation; inside and outside door handles; mirrors; hinges; liftgate and hood supports; hub caps/wheel covers; bumpers; body sheet metal and panels; body parts; frame and engine cradles; body mounts; mounting brackets and structural body parts; vinyl and convertible tops; tires; wheels/rims. Seals and gaskets are covered only if needed in conjunction with a covered repair; near object avoidance systems; speakers and wiring. Towing: We will reimburse You for Your actual towing cost up to a maximum of $60 per occurrence, if the tow was necessary because of a Mechanical Breakdown of a part covered under the Contract. Any payment shall be for actual towing or roadside charges in excess of any applicable reimbursement from the manufacturer or any other towing or road service Coverage. Rental Car: We will reimburse You for rental of a replacement vehicle for substitute transportation if there is a Breakdown of a covered part under this Contract and the approved labor repair time is a minimum of 4 hours. Our cost is limited to $30 per day. Each 8 hours of approved labor time Counts as 1 day, up to a maximum of 5 days. The substitute transportation must be supplied by a duly licensed Rental Agency and is in excess of any applicable reimbursement from the manufacturer or any other substitute transportation coverage. Locksmith Service: If You lock Your keys in Your Vehicle or lose Your keys You will be reimbursed up to $40 for the service call of a locksmith to open Your Vehicle. Key cutting or other labor/parts are not covered by this benefit. Out of Gas/Dead Battery: You will be reimbursed up to $40 for a service call to jump-start or deliver emergency fuel to Your Vehicle. The cost of the fuel is not reimbursable. Trip Interruption: Trip interruption occurs when a Breakdown disables Your Vehicle more than 100 miles from Your home, You are stranded overnight and covered repairs are not completed. Trip interruption benefits are for motel and restaurant expenses incurred by You during the repair period. When such a Breakdown occurs, You will be reimbursed up to $100.00 per day of trip interruption benefits for each 8 hours of approved labor time, up to a maximum of 4 days.